With the demand for solar PV installations rapidly increasing, it’s now a good time for electrical contractors to enter the solar market and gain a share of the growing wave of solar business. 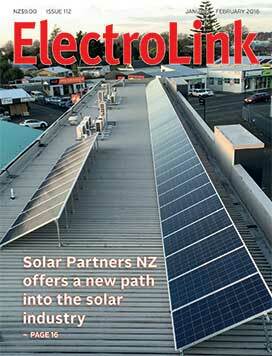 The total installed base of grid-connected solar installations in New Zealand has doubled in the last year alone and now totals over 7,700 says Bernie Dombroski of Solar Partners New Zealand. He says the local market for solar is expected to grow ten-fold in the next five years as new PV technologies reduce the cost of installations, lower the capital cost per watt of electricity produced and provide a continuously improving return on investment as power prices rise. Dombroski says adding solar to an electrical contracting business is easy to achieve with the right training, but there are challenges and business-ending pitfalls awaiting those that rush in without the right skills. These skills cover every aspect of solar PV from customer need assessment all the way through to system maintenance over a 25-year life. Five years ago the Canterbury earthquakes had a damaging impact on tens of thousands of houses and buildings with the cost to repair or rebuild them exceeding $30 billion. It took a year or two for the bulk of the reconstruction work to get underway and during this time there was a lot of discussion on developing ways to improve the safety of older electrical installations in damaged buildings without having to upgrade them with a high-cost AS/NZS 3000 re-install. Many of the houses had old electrical fittings and VIR or TRS wiring in them and it became clear very quickly that restoring these homes presented an excellent opportunity before new plasterboard went in to make sure repaired and undamaged wiring and fittings would remain safe to use for many more years. But despite engagement with the regulators nothing came of this. No new standard, code or guidance document was produced to provide a benchmark to modernise the safety of installations short of a complete upgrade to AS/NZS 3000. Instead the regulators left the electrical industry to its own devices, and to carry out repair or replacement and new installation work as before. However, the government did agree to clarify the regulations surrounding repair to give three alternative pathways for electricians to follow to fix the damaged sites or carry out repairs on any installation. New rules affecting the liability of electrical supervisors and expanding the type of work activity trainees can do have been released by the Electrical Workers Registration Board for public comment. In November last year the board published three sets of new rules it wants to bring in to cover the supervision of trainees holding a limited certificate, the supervision of persons other than limited certificate holders, and the supervision of licensed persons working outside their registration class. The consultation is not seeking responses on the board’s powers to implement the new measures or how they might complement current law or conflict with it. Instead the board has simply released new rules it wants and has invited comment on them. Before the detail of the three documents can be addressed, the industry needs to know the legal status of the rules, and none of the documents nor the EWRB registrar’s explanatory comments in the ministry’s Electron newsletter, deliver clarity on this. 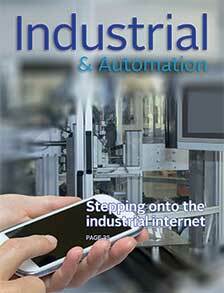 Converging analogue and digital architectures into an IT platform is one of the biggest challenges facing manufacturers today as they look to improve their productivity by stepping onto the industrial internet pathway. Interconnectivity – machines autonomously assessing every aspect of performance within a process and uploading performance data to a central control system in real time – is seen as the key to unlocking the full potential of the industrial internet. The challenge for systems engineers and factory management, however, is how to introduce machine connectivity into a plant’s existing IT/SAP infrastructure and how to effectively manage the risks that interconnectivity presents for IT and operational security. This is globally cited by management as a principal barrier to greater uptake and utilisation of the industrial internet and a roadblock that has had to be carefully navigated and at great expense. 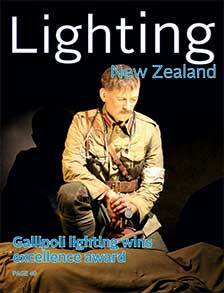 Effective lighting was a central element of ‘Gallipoli, The Scale of Our War’ Exhibition at Wellington’s Te Papa Museum and lighting designer Marc Simpson from Toulouse Group met the brief, being named one of two Excellence Award winners at the recent IESNZ Lighting Design Awards. Simpson’s entry was one of 11 put forward for judging in the 2015 awards which were announced at a gala dinner and prize giving held at Auckland’s MOTAT aviation display hall on Friday November 6 last year. The second Excellence Award was presented to Mona Aziz and Kevin Southgate from Stephenson & Turner and Grant Armstrong from Ignite Architects for their facade lighting of the redeveloped podium at 45 Queen Street, Auckland. The awards judges said Simpson’s work at Te Papa Museum was worthy of high praise and showed great use of rendering objects with considerable thought to transitions and layers of lighting combining to take exhibition visitors on a remarkable journey. Is lighting training keeping up? Lighting has long been considered core electrical work but the technology shift from legacy lighting to LED and the rapid advance of wireless and Ethernet/IP lighting control systems is changing the lighting landscape as we know it. The question now facing the electrical industry is to what extent lighting will continue to be core electrical business in an industry increasingly dominated by electronics and consumer controls, or will some lighting shift to other sectors such as security or, for example, to ceiling installers for office lighting.